Well, here we go again. This winter has been disappointing for snow lovers so far, but if you like snow here is another ray of hope. Data over the last 24 hours have slowly increased the potential for accumulating snow across our area, BUT we are still four days away, and things will change. Below is a timestamp from the GFS computer model, which shows moderate snowfall with accumulations likely. So what is going to happen? I have no idea what is going to happen, but I do know what could happen and what the results would be for each scenario. The first scenario is that the area of low pressure tracks south and east of us, which would put the best snow potential over our area. 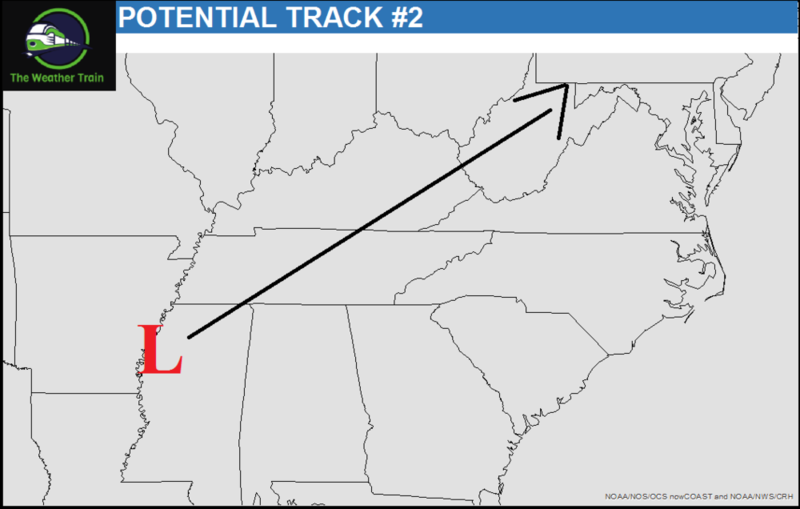 The second scenario is that the area of low pressure tracks closer to Kentucky, which would put the best chance for accumulating snow in Indiana, and give Kentucky more rain. Both of these tracks are possible, and we should have a better idea on whats going to happen in approximately 36-48 hours. Stay tuned for updates!